Thank you for becoming a Reel Friend on a recurring basis. We use Pay Pal in order to process our online payments with a credit card. Please select the Reel Friends option below you would like and click "Subscribe". This will take you to the Pay Pal website to finish your transaction. 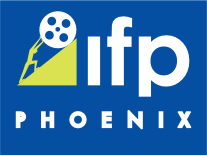 Thank you for becoming a Reel Friend of the Phoenix Film Festival.